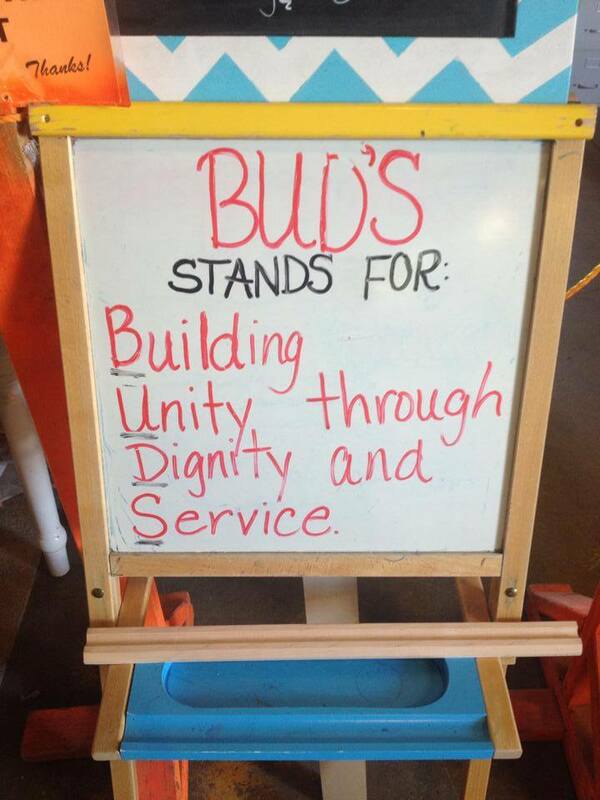 Customers are always asking to meet Bud but did you know that the “Bud’s” in Bud’s Warehouse actually stands for Building Unity & Dignity through Service? A lot of people know that Bud’s Warehouse is Denver’s original and best home improvement thrift store. But not everyone knows that Bud’s is also a non-profit job-training program for individuals rebuilding lives from addiction, homelessness and prison. Our employees participate in a one year program and go through an individualized life skills curriculum that includes such topics as: healthy living, job development, personal finance, computer skills, and interviewing for new jobs (among others). We also do weekly one-on-one case management that covers personal and professional goal setting and transitioning into independent living. Our program was even recently featured on the Substance Abuse and Mental Health Services Administration’s national website.